"I am a huge fan of the Ridge label and love the consistency across the brand." I barely made it onto the list for a tasting of wines from one of my all time favorite wineries, Ridge Vineyards. It virtually sold out immediately and I went on the waiting list and got lucky enough to score a couple of seats. 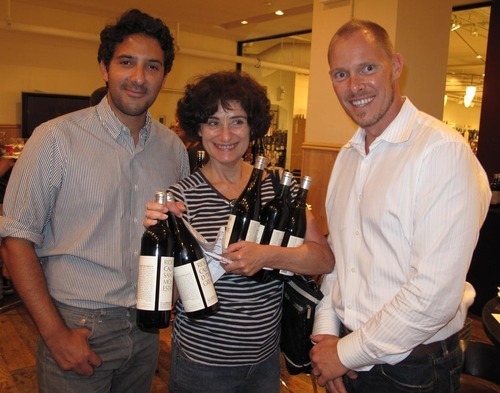 Winemaker Eric Baugher was on hand to discuss Ridge and walk us through the tasting. Ridge Vineyards is based in two different wineries in California, the Monte Bello estate in the Santa Cruz Mountains and the Lytton Springs property in Sonoma. I have had the pleasure of visiting the Sonoma property and hope to visit the legendary Monte Bello estate at some point. Ridge is renowned for many things, it’s Monte Bello Cabernet is one of the most legendary classic Cabernet’s in California and was part of the historic 1976 Judgement in Paris wine tasting where California wines bested many top French wines. It is also known for it’s excellent array of Zinfandels, 15 different bottlings in total. 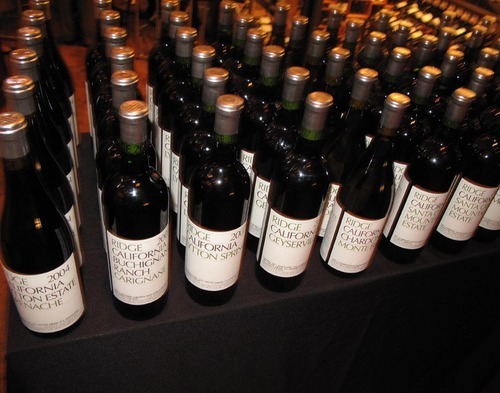 Most of all, they are known for leading the way in California for single vineyard bottlings of all their wines. At a time when most wineries simply bottled different vineyards together as one blend, Ridge recognized the importance of each individual site as being unique and only bottle wine according to the specific vineyard sites. On each Ridge bottle is a description of the vineyard, the percentage of grapes, notes on harvest and wine making as well. The bottlings are field blends, that is, for example a Zinfandel will be predominantly Zinfandel, but may contain smaller percentages of other grapes grown on the same parcel. I have had many bottles of Ridge over many years, it would probably site it as my epiphany wine, and I have never had a bottle I did not appreciate. I am huge fan of their Zinfandels, always a go to on any wine list, and their Chardonnays are always amazing as well. The Zins in particular represent excellent value for their price, and have remained affordable. I had never had a chance to try the legendary Monte Bello Cabernet, as it is a rare and expensive wine. We had the good fortune to try three different vintages at this tasting. A recap of all the wines we tried follows, but it should also be noted that Union Square wines organizes tastings periodically that are not only amazing, but amazingly affordable. We tried ten different Ridge wines, and were surprised with delicious hamburgers at the end of the tasting, not to mention the out of this world Parmesan twists that accompanied the tasting. All this for $40, and they give you a $20 voucher towards the purchase of any wine in the store! Its a hard deal to beat and Jesse and the guys at Union Square have it really dialed in, what a great event. "Jesse from Union Square with Eric from Ridge and one lucky contestant!" "Our table mates Joe and his daughter Adrienne holding up one of their favorite bottles from the Ridge tasting."